Can help us this ? X the tracking drawingvin the air ? You hit a very interesting spot here. As a community we have developed devices such as the tracker and the Explorer Kit, now the Rigacci PM sensor in development. But we are speculating as well of smartphone App that could go on board our solar balloons. Modern smartphones include advanced cameras, positioning chips, accelerometer and gyro sensors, compass and more often barometer and more advanced sensors such as heart rate. To me this idea of promoting to put your phone onboard a balloon, and gather with a friend to connect to the balloon with a second smartphone is very attractive. Even with a heart rate sensor on the smartphone on land you could measure your heartbeats as you see the solar balloons fly? 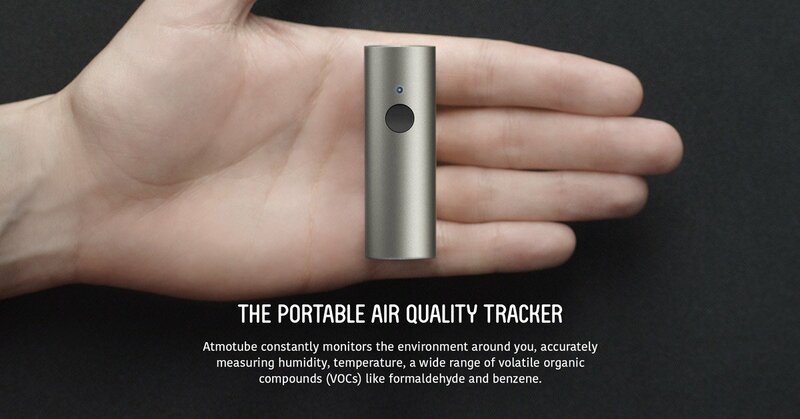 Atmotube constantly monitors the environment around you, measuring air pollution, detecting presence of wide range of volatile organic compounds (VOCs). So I am currently trying to figure out, Nick maybe you can give us your inputs, what is more open and sustainable? Continuing to develop our own airborne devices or leveraging billions of smart devices already available? How are we going to engage more people? With DIT hardware or through innovative ways of using their own everyday use devices? In which way are generating more waste, or making better use of the planet’s limited resources? Developing a 3d printed protective cradle for getting your smartphone up in the air. Developing a bluetooth sensor for hooking up to your smartphone. I really like the approach to use smartphones as base unit and get them airborne. atmospheric data, motion track with gps coordinate, PM´s and toxic components in the air, sound? Until companies start massively including pollution monitoring on smartphones? we will lose gradually the opportunity to hack and modify the sensor kit. workshops around these sensors will transform into a guided use of the sensor rather the construction of them. lets evaluate our priorities here. These are all really good questions about what is sustainable, is it better to use existing proprietary tools now or develop new open source tools that will take many years to achieve stability, are the ethos of the aerocene compromised in the production of e-waste or energy intensive crypto-curency hashing? My 2 cents is that the answers to these questions become clearer when the larger strategy is clearer. In other words, the global scale of the aerocne is amazing and exciting but how it gets grounded in particular communities in particular places comes from targeting defined audiences and listening to their needs and creating sustained engagements w/ them. In my work, projects that seek engagement in an unspecified way, more akin to marketing, fail to gain traction. Joaquin’s work in Flammable is so ripe for advacing the project w/ a specific community that has seen the failures of traditional means of environmental change. Do they have goals that are achievable w/ aerocene tools? If sustained work can be done there then that can travel to other similar places in vast petro-chemical infrastructures. So to summarize, which tech detail to tackle might fall into place better if specific goals and communities of engagement are outlined. But in terms of the smartphone app and accessories is this for tethered flights only? as most phone gps stops working at 18,000m. Hey Nick! The original idea was to discuss just about atmospheric sensing hardware, and what route to take in the development of a successor for the Aerocene Sensing device, or plainly “the bottle”, as we call it. the global scale of the aerocne is amazing and exciting but how it gets grounded in particular communities in particular places comes from targeting defined audiences and listening to their needs and creating sustained engagements w/ them. Couldn’t agree more with you here @shapiro.nick, and I personally see a lot to improve in this field! To me a big problem for the Foundation is the lack of Explorer backpacks in developing countries. Joaquin’s work in Flammable is so ripe for advacing the project w/ a specific community that has seen the failures of traditional means of environmental change. Do they have goals that are achievable w/ aerocene tools? If sustained work can be done there then that can travel to other similar places in vast petro-chemical infrastructures. So to summarize, which tech detail to tackle might fall into place better if specific goals and communities of engagement are outlined. I remember when I asked Claudia -our local friend from Inflamable- to choose some text for an event we jointly organized she didn’t think it twice and said: Inflamable tiene voz, or Inflamable has a voice. This year we are planning on continuing our efforts over there, and before doing anything I have a scheduled meeting at Villa, just to listen. Maybe if all goes well we will be able to encompass this project in the field of increased visibility with the help of citizen science? Yes indeed! Smartphone trajectory recording for free flight activities is a risky move. For tethered flights I think they could actually work beautifully. Sounds great! and I agree with everything you said! To me I see two different logics of change happening here, protest and resistance in the short term, and the aerocene a radical departure from in thermodynamic underpinnings of society. One orients against existing structures of oppression and another beyond them. I wonder how we can make use of the “beyond” in working with communities like flammable. In my other projects i do “against” alot and history tells us it almost never works https://www.berghahnbooks.com/title/BoudiaPowerless how can these communities be the first to realize radical alterity? Inflamable, definitely is such a challenge to “go beyond” in this community and so many others, it is true “the against” didnt work us we, activist, expected but we will try to explore “the beyond” with the help of Aerocene to imagine and co-design alternative futures for Flammable, I will explore in a course the power of art to overcome conflicts, maybe it sounds utopian but I dont want to give up. By the way @shapiro.nick, such a good book you had recommended, very expensive for me at the moment, do you have an e-book to share it with me and Joaquin? Many thanks in advance! 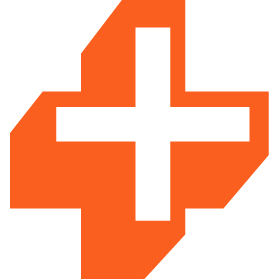 Edelweiss+, by Above the Treeline, is the book industry’s platform to sell, discover, and order new titles. Work better, read more. Had you read it yet? @shapiro.nick @sasha @sashaengelmann please let me know! I haven’t read it but looks very specific to the things we are thinking about in this thread / community! Your course sounds amazing, @Debora!! I would love to hear how the people of Inflamable imagine a future without the petrochemical companies! also would love to read the syllabus. I think that general platforms for grounded speculation about post-fossil fuel futures might be something we could try to offer, what do you think, @Joaquin? I’m going to ask Natalie and Soraya if they have a pdf of the book I can share I hope they will share it! I gave my copy of the book away to a community member in the fracking fields of Pennsylvanian. I also haven’t seen this book but must read it soon!